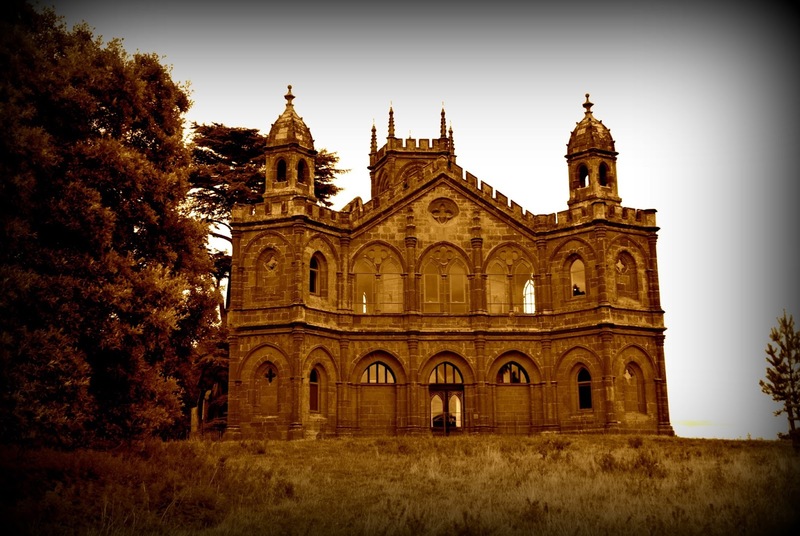 As it's almost Halloween, and, as I'm getting into a really spooktastic vibe, I thought I'd share some photos of one of my favourite Gothic buildings, the Gothic Temple at Stowe. Isn't it a gem? Gothic architecture and Halloween go together like Fred and Ginger or crackers and cheese in my book. And this little beauty from the 18th century looks like it was created as the backdrop to some blood-chilling tale. Unfortunately I've not managed to turn up any ghost stories involving the Temple, but I'm confident that if I keep rummaging I'll find something. 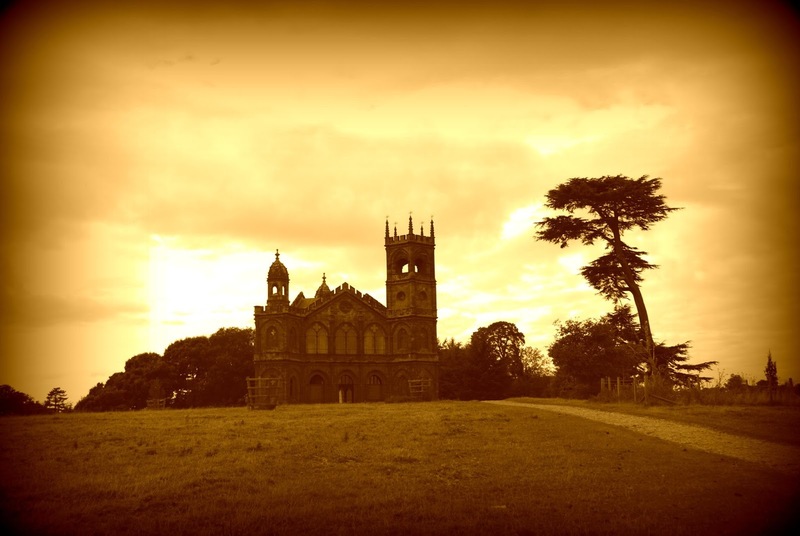 The Gothic Temple sits in the fabulously grand gardens at Stowe, which I've written about before here: Stowe House and Gardens, and, whilst I've never been inside, I understand that you can rent it from the Landmark Trust for your holidays. It would be a truly amazing place to stay. Can you imagine what it would be like to have those gardens all to yourself after all the hoi polloi have gone home? The Gothic Temple, built in 1741, was one of the last additions to the gardens at Stowe. 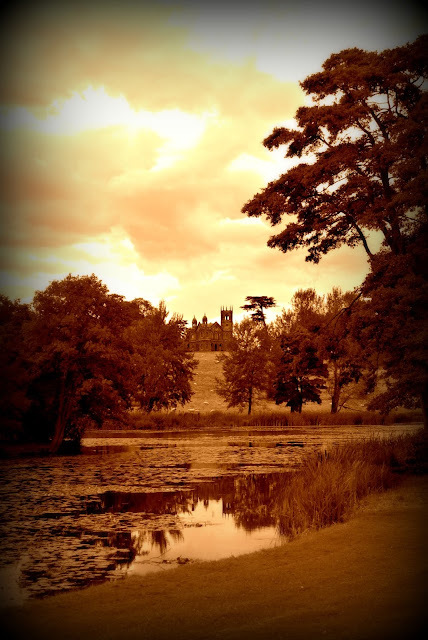 It was built as a folly, a little architectural garnish added to season the landscape like saffron in a fish stew. They did things on a grand scale way back then. Unlike just about everything else in the gardens it eschews the symmetry and Greco-Roman motifs of the classical style. And for my money it's the best thing there. I'm much more of an asymmetric Gothic type than a carefully balanced, all-sides-are-even Classicist. Maybe that's why I get such a kick out of all this crazy, doesn't-have-to-make-sense Halloween stuff.